The City University of New York is a home for many undergraduate and graduate students originally from Latin America. The CUNY Graduate Center is one of the few academic institutions in New York City exclusively focused on studying Colombian affairs. 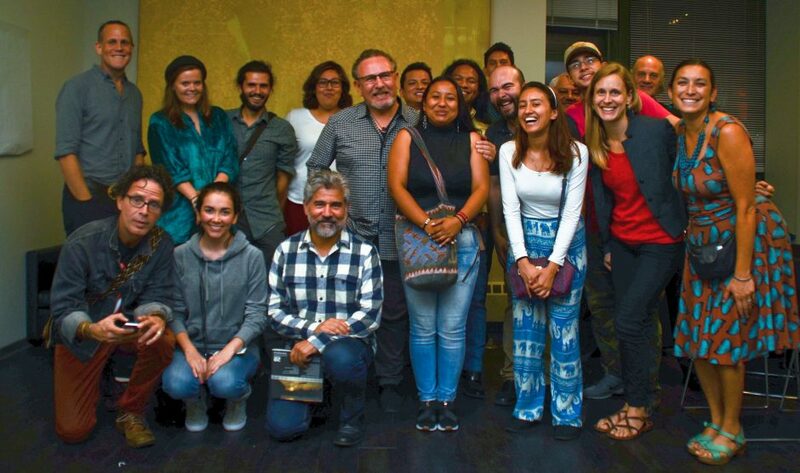 The Graduate Center Colombian Studies Group has been a haven for exiles and refugees, students, professors and other victims of the country’s decades old conflict since they first began to migrate from those southern cities to metropolitan areas up north like Los Angeles, New York City, Miami, Houston and Chicago. A 2014 study led by Professor Bergad states that between 1980 and 2010, the Colombian-origin population of the New York metropolitan area and its surrounding counties increased from 74,141 to 225,603. Over these thirty years Colombians increased marginally as a percentage of all Latinos in the region from 3.8% in 1980 to 5.0% in 2010. The growth of immigrants from Mexican and other Meso American nations far outweigh the influx of Colombian citizens into the United States. Immigration scholars such as Luis Guarnizo from U.C. Davis and Maria Aysa-Lastra from FIU agree that there is great disaffection between first and second-generation immigrants and their country of origin. Aysa Lastra arguments that a large portion of the Colombian population in the United States tends to disperse throughout the country, also inhibiting the formation of broader social networks. Furthermore, the Colombian Studies Group has found that anyone who wishes to remain informed with the day-to-day realities of Colombia are limited to internet news and many misleading Facebook posts. Few organizations speak to these issues in the U.S. and none monitor or analyze the the peace process in an objective and integral manner.